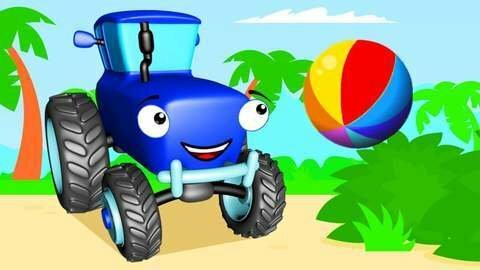 In this car cartoon episode for kids, Blue Tractor gets overheated by the hot sun. The two yellow trucks are very concerned about their friend which is why they race to find some ice. Watch the crazy things that the yellow bulldozer and yellow crane do just to be the first to get some ice. Watch more free car cartoons for boys and girls by going to SeeZisKids.com.